Before astronomers can make a map of the sky, they need a telescope. Past surveys, such as the Palomar Sky Survey, were done with Schmidt telescopes with correcting lenses 48 inches (1.5 m) across. 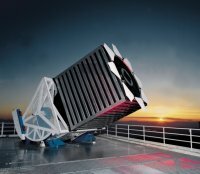 To map more distant, fainter objects, Sloan astronomers decided to build a brand new telescope with lenses 2.5 meters (100 inches) across. 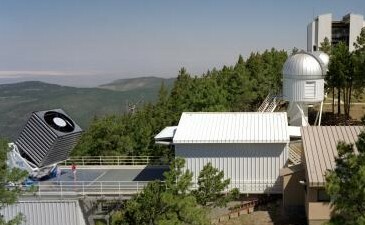 The SDSS telescopes are located at Apache Point Observatory (APO) in Sunspot, New Mexico. The observatory is surrounded by the Lincoln National Forest in the Sacramento Mountains, and sits on a mountain 9,200 feet above sea level, where the atmosphere contains little water vapor and few pollutants. Because the site is so high and so far from major cities, the night sky seen from APO is among the darkest in the United States. 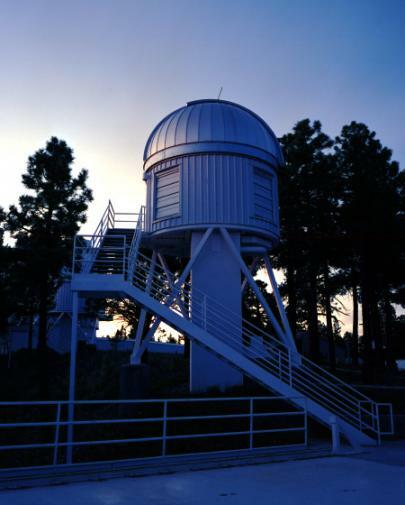 In addition to the SDSS telescopes, the APO also houses a 3.5-meter telescope and New Mexico State University's 1.0-meter telescope. Because the SDSS telescope will make a map of the whole sky, it must produce in-focus images over a large field of view. Most modern telescopes, like the huge 10-meter Keck telescopes in Hawaii, are used to observe small patches of sky at a time. To see a large area of sky at once, the SDSS telescope required a different and complex design. 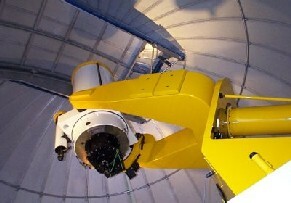 The inside of the telescope is dominated by two reflecting mirrors. Light reflects from the mirrors into a focusing system that includes two corrective lenses, which minimize distortion. The diagram at right shows how that incoming starlight strikes the 2.5-meter primary mirror, bounces back and strikes the smaller (1.08-meter) secondary mirror, then is reflected back through a hole in the primary mirror. The light passes through the first correcting lens and then through the second lens on top of the camera. The telescope can take sharply focused images from an area of three degrees, equal to the diameter of about 30 full moons. The SDSS telescope (left) outside its housing. Although this design looks like a typical Cassegrain telescope, the mirror surfaces are of a different shape, and the focusing system uses an additional corrective element. The telescope's housing is also unique. Most telescopes are kept inside domes, with only a small slit in the dome for observing. However, this arrangement often causes heat become trapped inside the dome during the day. When the heat is released at night, the escaping heat causes air turbulence that blurs the telescope's images. To avoid this problem, the SDSS telescope is completely removed from its enclosure, and carries its own wind baffle (the metallic box around the telescope tube). In addition to the main telescope, the SDSS uses this 0.5-meter Photometric Telescope to monitor subtle changes in the atmospheric temperature and pressure during the course of the survey. 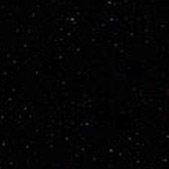 This information allows astronomers to calibrate an object's brightness as measured with the main telescope.